Now that you've figured out that the best all-around choice, from a frame material standpoint, for your new home windows is UI-pvc vinyl windows, it’s time to take the next step. Let’s compare how different vinyl replacement window manufacturers construct and insulate their frames. 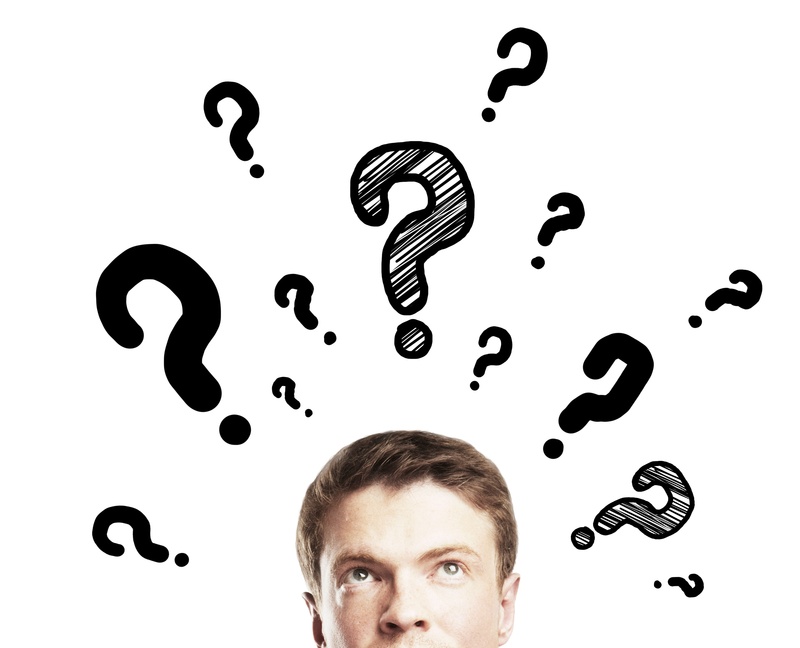 When you talk frame construction, there are three main things to consider: what is the function of each frame piece, water management concerns, and how the pieces of frame are connected together. 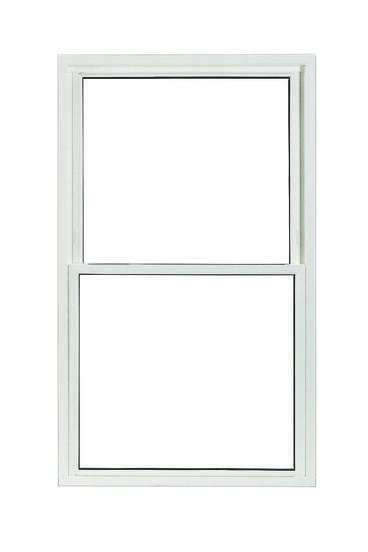 In this image you see a double hung window. 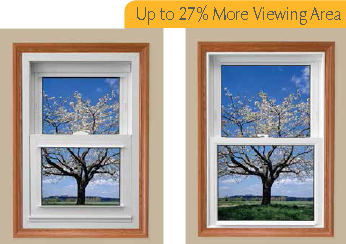 It is the most common type of window and, as you can see, has two sashes that can independently move up and down. The other thing that is important about this window type is that it’s designed to manage water, via the sill. Each piece of the frame has a specific function that is vital to the overall performance of the unit for a strength and support standpoint. These pieces also contribute to how the window manages water. First, you have two side rails. If you've ever seen a residential wall being built, you’ve likely seen several vertical pieces of wood (2 X 4’s), at regularly spaced intervals. Like the 2 X 4’s, the side rails of the window frame provide support for the overall window unit. Next, you have your header. Again, using our residential construction analogy, if there was a doorway in this wall, you wouldn't just have a couple of 2 X 4’s over the top of the door. You’d see a much wider piece of wood (either 2 X 6 or 2 X 8) as part of the structure over top of the open space for the door. The final window frame piece, which has the most to do with water management, is the sill. Of course, the sill is designed to capture and move the water away from the inside of the home. Last time, we determined that there are pretty vast differences in the cost of your new windows based on the frame and sash material that you choose for your project. Maybe more so than any of the other material groups, the difference in the cost of replacement windows for your home varies wildly among vinyl window manufacturers and retailers. These costs may start around $350 to $400 per window on the low end and go all the way up $1500+ depending upon a number of factors. As you can imagine, manufacturers make a number of decisions which affect their costs, and, ultimately, the price that gets charged in the marketplace. One of these decisions has to do with design. As we mentioned earlier, a window frame should have a header, side rails and a sill. Each piece is highly specialized and costs the manufacturer a different amount. One of the ways that cheap vinyl replacement windows save cost (and unfortunately, even some “higher end” products do as well), is to replace the sill with a piece of side rail. In a double hung window, this creates the necessity of weep holes in the frames to let water that gets into the frames out. It also raises the look of the bottom frame, decreasing glass area even more. Read all about weep holes and why you never want a double hung window with them. The final consideration from a vinyl window frame construction standpoint is how the frames pieces are connected together. 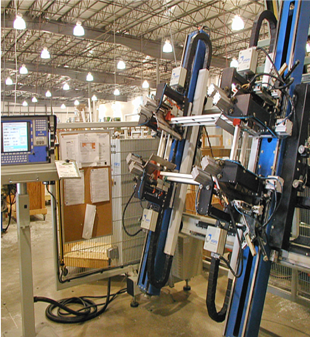 There are two most common ways of doing so are mechanical fastening or fusion welding. Almost exclusively the domain of the lowest cost replacement window products, mechanical fastening is literally screwing the pieces of vinyl together. Not only does this create instability, but also encourages air leakage which can negatively impact comfort and energy costs. Both metal and fiberglass/composite window frames use some version of this process. Fusion welding is a process that uses heat to fuse two pieces of vinyl together providing a much stronger, virtually airtight seal for the corners of the frame (and, in our case, the sashes as well). 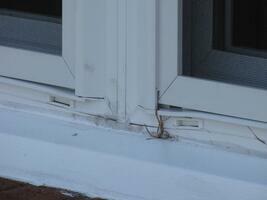 This is best way to get this moisture and air resistant seal and is only available in vinyl replacement windows. There’s three ways to insulate vinyl replacement window frames…no insulation (often called “multi-chambered pvc” or “hollow core pvc”), polystyrene (or Styrofoam), and polyurethane. 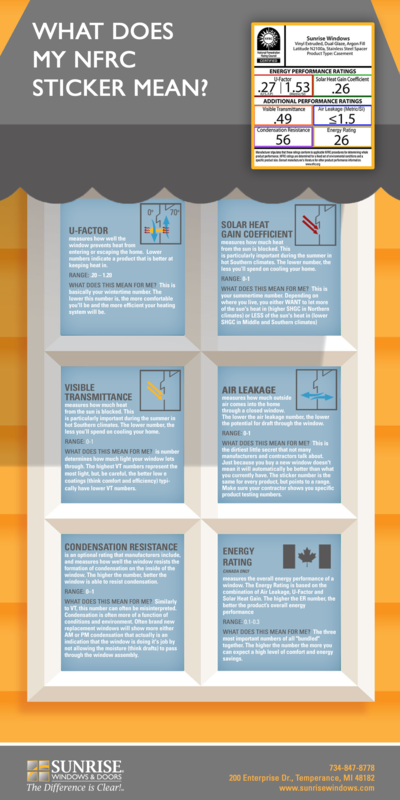 If you ask homeowners what the most efficient door in their home is, you’ll likely get many different answers. If you really think about it, isn’t your freezer door the most efficient? The temperature in your home is say, 70 degrees, but inside that freezer it’s really cold. 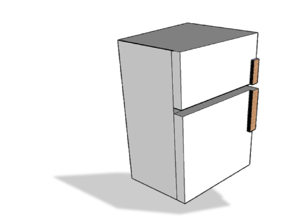 If you peeled apart that freezer door, you’d find an inch and a half of polyurethane insulation. It’s the same stuff that we use in our windows, because it provides twice the insulating value as polystyrene and seven times the insulation of hollow core vinyl. Read this article for a more in-depth discussion about the different types of window frame insulation. On to the next step which affects the strength, security and thermal efficiency of your windows.